March 2016 will go down as a defining period for Warner Bros.’ DC Extended Universe. However you feel about Batman V Superman: Dawn of Justice, the release of Zack Snyder’s tentpole jump-started a slate of superhero movies at the studio, and only a week before the film made its grand debut, it was revealed that Jason Fuchs had been appointed to breathe new life into Warner’s languishing Lobo adaptation. Held up as the ‘Deadpool effect,’ it was a sure-fire sign that a Lobo movie was back in contention at WB after slipping off the radar in recent months. And though it’s been some time since we last caught wind of the nascent project, Fuchs himself has posted a status update via Instagram confirming that, yes, he’s still toiling away on the screenplay. Spotlighting the four-part Portrait of a Bastich series, Fuchs’s Lobo fleeting update indicates that the scribe could be pulling from older issues of the source material as he looks to finally whip the project into shape. 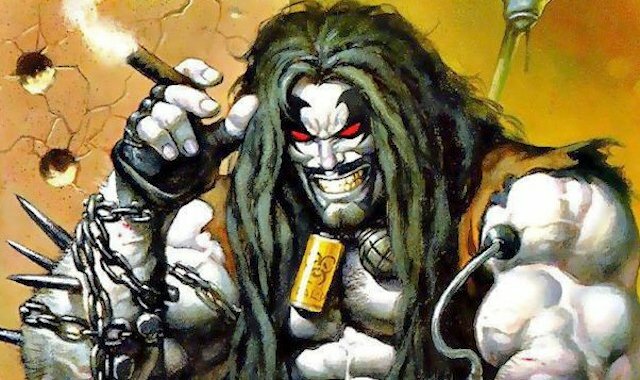 He’s not the first creative to have a crack at the immortal anti-hero either, after San Andreas director Brad Peyton was enlisted to write and direct a feature film based on Lobo, before that adaptation ultimately unravelled after stalling in development. So, there you have it; Lobo is not necessarily off the table at Warner Bros. Are you holding out hope that DC’s intergalactic bounty hunter can muscle his way onto Warner’s cinematic slate in the near future? Let us know your thoughts by dropping a comment below.